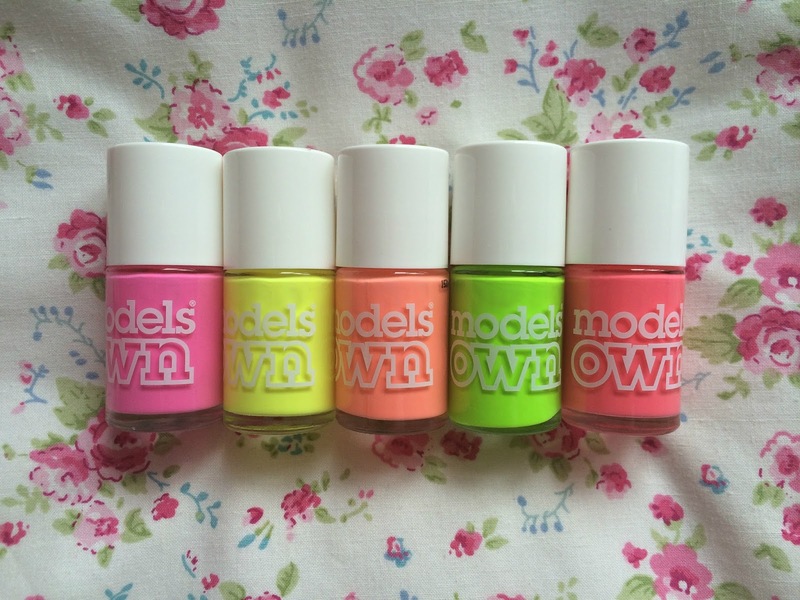 On Wednesday 9th July, Models Own where running a giveaway on their Twitter giving 3 lucky people the chance to win either their 'Polish For Tans' collection and their 'Summer Hypergels' or a £10 e-voucher. Like 800 other Models Own fans, I retweeted their tweet and I was lucky enough to be selected for the main prize of the 10 nail polishes. Being a huge fan of Models Own nail polishes I was so happy to have been selected so thought I would share with you the beautiful polishes I have won. Here we have the 'Polish For Tans' collection and I absolutely love the colours for during the summer months. And here we have the "Summer Hypergels' which are perfect colours for me as I love wearing Pinks/Red shades. If you would like to see some of my previous posts featuring Models Own then take a look here and here.